Opportunities for New Zealand makeup artists get better and better! New Zealand filmmakers and fashion designers excel here and overseas and new TV shows, magazines, and cosmetic brands continue to appear. The demand grows for makeup artists with hair and beauty skills and NZQA qualifications. As leaders in creative training we attract inspiring teachers with exceptional credentials. You will learn in superb facilities, and gain experience working on fashion shows and arts productions through our network of industry affiliations. 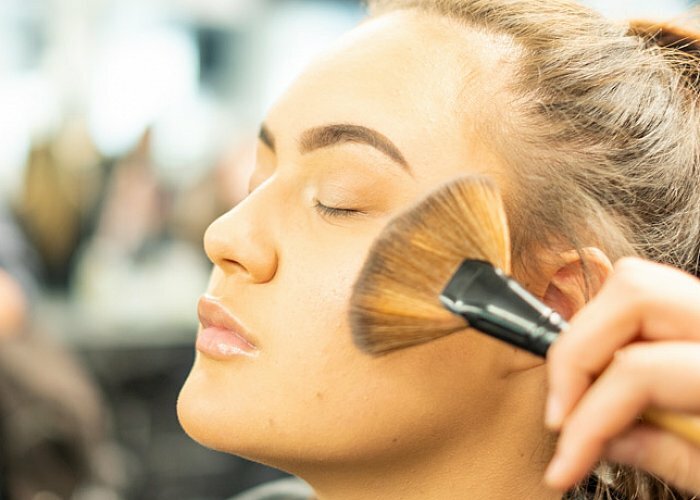 Our syllabus offers a wide choice of courses with an extensive variety of makeup skills to prepare you for employment in fashion and cosmetics, stage and screen, and media production. Options range from the intensive 16 week makeup and skincare course to the 38 week Diploma in in Special FX & Prosthetic Makeup Artistry which gives you the skills you need to excel as a freelance makeup artist for catwalk, studio, advertising, film and television. We are the only School offering this in Australasia. Give us a call on 0800 CUT ABOVE or 09 309 0689 to speak to one of our Course Advisors. Alternatively you can send us an email.